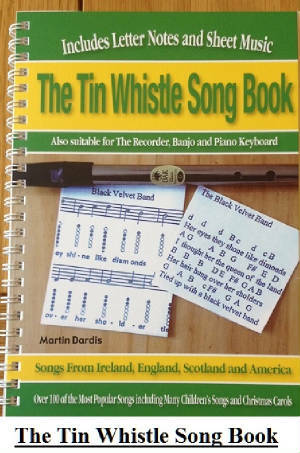 Pop And Country Songs On The Tin Whistle And Recorder. When I say that almost any song could be played on the whistle it doesn't mean it will sound good, it will only sound good if it has a nice melody with a wide variety of notes. Recently I worked out a U2 song called With Or Without You which I initially thought would be quiet difficult but as it turned out it's as easy to play as Twinkle Twinkle Little Star but to me It doesn't sound great when playing it, it's a little boring to play. But it was a request and the person it was for was very happy to get the notes. Different Folks Different Strokes I suppose ?. All the songs here can also be played on the recorder. The recorder is pretty much the same as the whistle except it has a low C note.I didn't use the low C in any of these tunes so the lowest not on your recorder will be the low D.